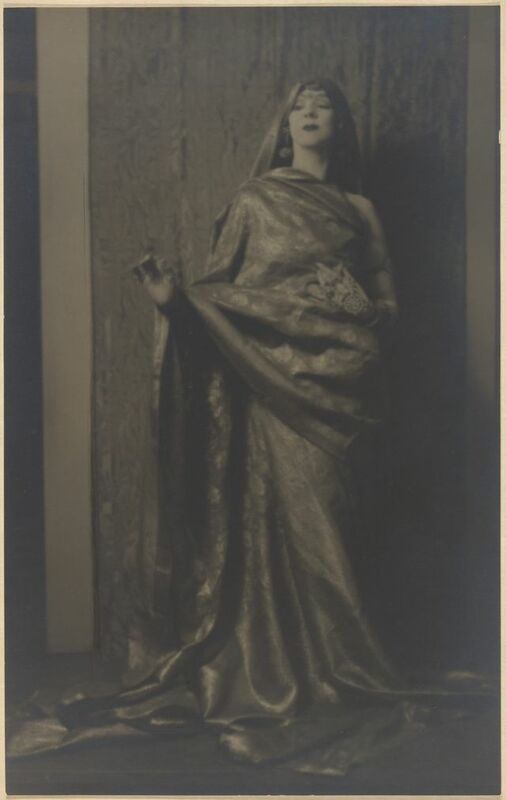 Ruth St. Denis (1879–1968) was an early modern dance pioneer. Her exotic, oriental-inspired dance interpretations opened new possibilities for dancers and stimulated a wave of creative experimentation in modern dance. 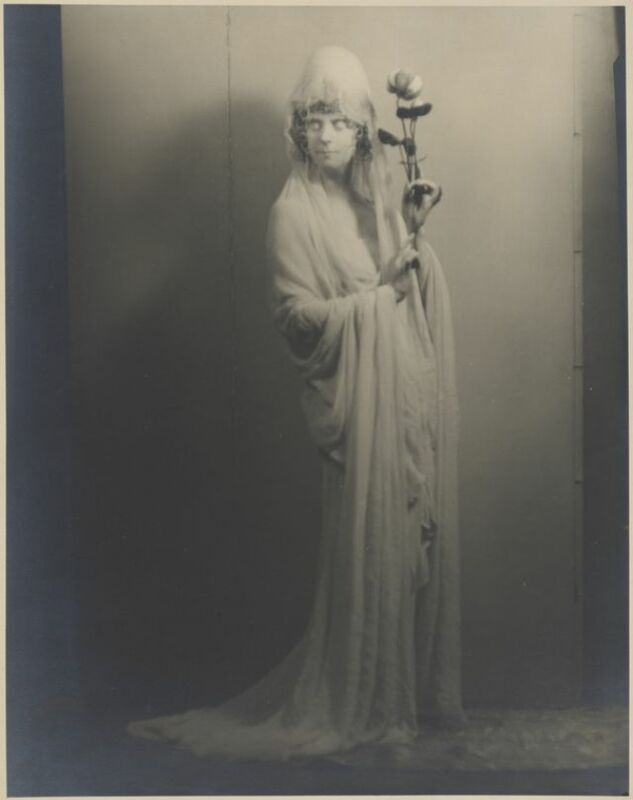 She and her husband, Ted Shawn, founded the influential dance school and company, Denishawn, in 1915. One of her most famous pupils was Martha Graham. Doris Humphrey and Charles Weidman also studied at Denishawn. Graham, Humphrey, Weidman, and the future silent film star Louise Brooks all performed as dancers with the Denishawn company. St. Denis founded Adelphi University's dance program in New York State in 1938, which is credited as one of the first dance departments in an American university. It has since become a cornerstone of Adelphi's Department of Performing Arts. 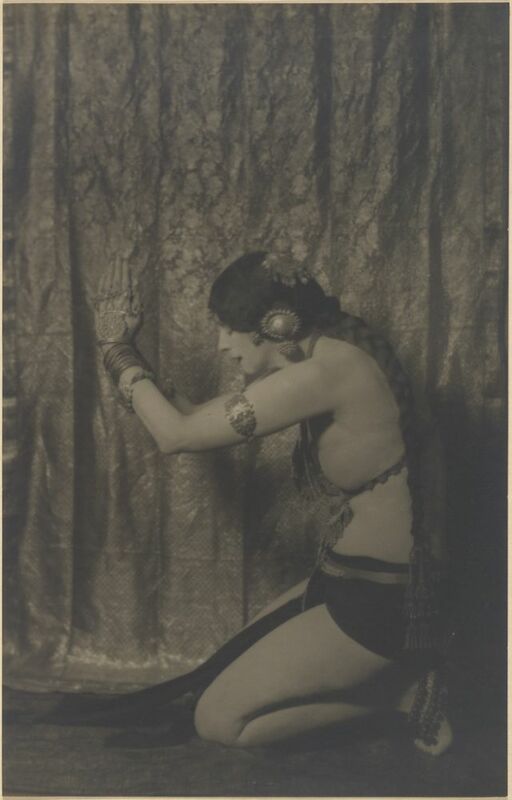 Ruth St. Denis was the first American dancer to incorporate the traditions and practices of the vaudeville stage into the world of serious concert dance. 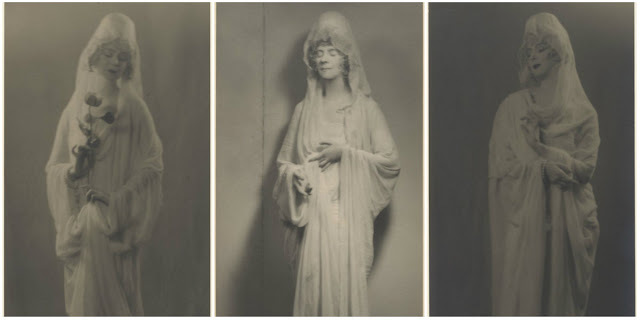 Her solo "translations" were unique combinations of dramatic mise en scene and contemporary dance steps that successfully combined theatrical and concert dance traditions. Eastern religion also heavily influenced her choreographic style. For many years, Denis taught dance at a studio in Hollywood, California, just north of the Hollywood Bowl. In 1963, she teamed with Raymond DeArmond Bowman to bring the first full-length Balinese Shadow Puppet play to the United States. 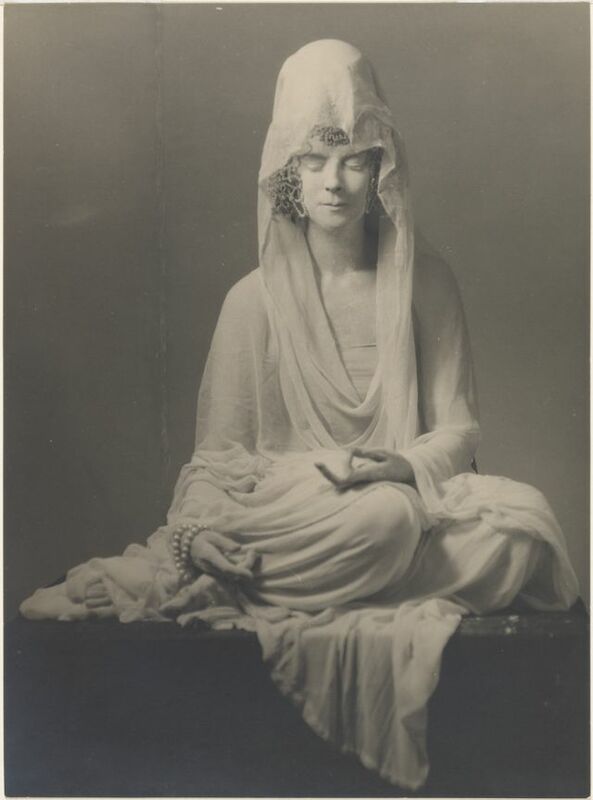 Her later years were largely devoted to exploring the relationship between spirituality and dance. 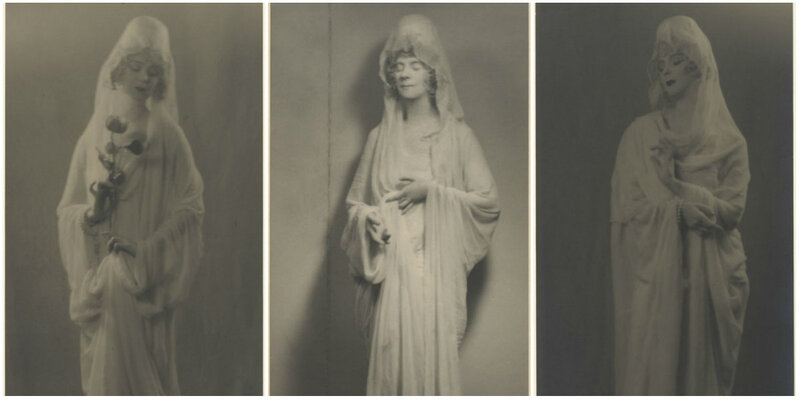 Below are some amazing portraits of Ruth St. Denis taken by photographer Arnold Genthe from the 1920s.